Sailing across the ocean and driving through naturally beautiful sceneries, this epic 22-night cruise and coach tour really packs a punch. 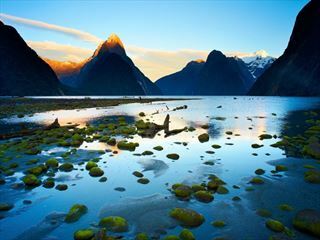 Starting in Sydney and ending in Christchurch, you’ll explore both the North and the South Island in style. Begin with a 12-night cruise on board the Celebrity Solstice, a luxurious ship offering a variety of lavish facilities, including a pool, boutique shops, a golf course, and a spa. 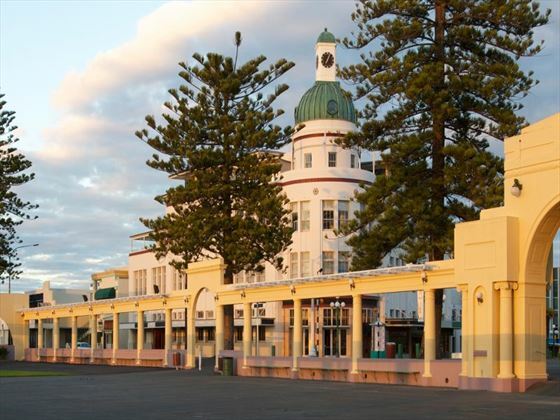 Sailing through Milford, Doubtful and Dusky Sounds, and stopping at Melbourne, Dunedin, Akaroa, Wellington, Tauranga and the Bay of Islands, you’ll have plenty of time to explore everything these towns and cities have to offer, beginning and ending each day with a decadent meal on board the ship. Next up is a 10-night Luxury Coach Tour, where you’ll be able to recline in your seat and take in the views as you drive across both islands. 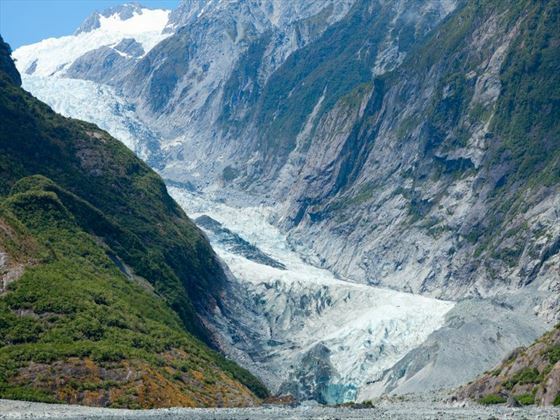 No doubt you’ll feel well rested in between your exciting activities, which include a visit to the Hobbiton Movie Set tour, a ride on the TranzAlpine train, a visit to New Zealand’s only tea plantation, and an optional scenic flight over Franz Josef Glacier (GPT). Upon arrival in Sydney, transfer to the port where you will be met by a guide aboard the Celebrity Solstice, spending the evening meeting your fellow travellers at a welcome dinner. Today you will sail across the sea, enjoying the ship’s onboard facilities and decadent cuisine. Relax in your deluxe balcony cabin, unwind at The Lawn Club, or shop till you drop in the boutiques. On day three the Celebrity Solstice will anchor at vibrant Melbourne. Take the tram ride into the city centre, and then spend the day as you wish. Melbourne’s Federation Square is full of fantastic plazas and bars, or you could stroll along the Yarra River. 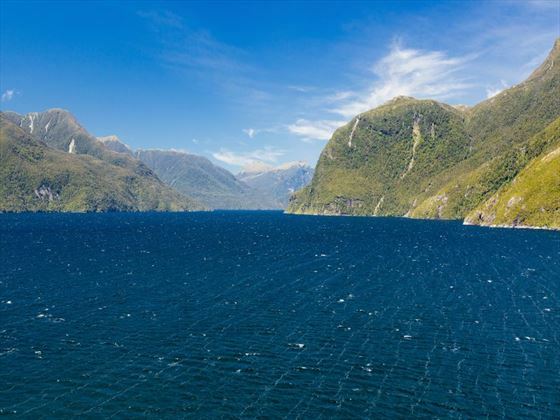 Take in the stunning views as the ship sails across the Tasman Sea to the land of the Long White Cloud. Be sure to indulge in a massage at the spa, or work up an appetite at the fitness centre. Take a dip in the Celebrity Solstice pool, play a round of golf, or dine on impeccable French cuisine. 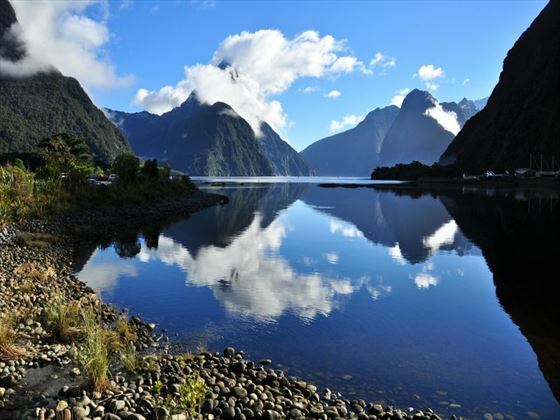 On day eight your cruise will take you through the narrow fiords of Milford, Doubtful and Dusky Sounds, comprising of soaring cliffs adorned with verdant alpine forest. 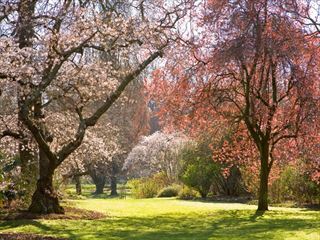 Today you will dock at Dunedin, a wonderful city full of rich history, beautiful architecture, and luscious botanic gardens. Explore the utterly fascinating Akaroa, a town nestled in the heart of an ancient volcano. This is the perfect spot to relax on secluded bays, and spot the rarest and smallest marine dolphin. 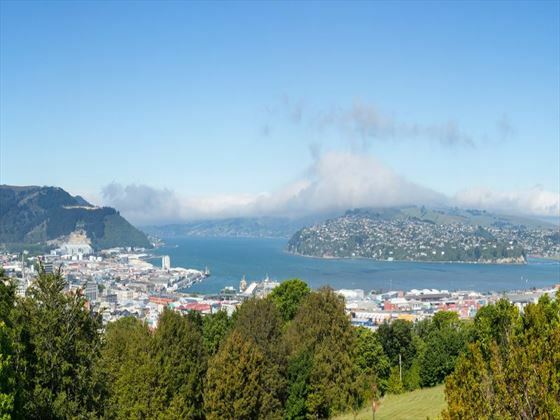 Spend the day in the bustling city of Wellington, home to New Zealand’s National Museum, Te Papa Tongarewa. Visit the museum (optional), or wander around at your own pace. Enjoy another day sailing the sea, soaking up the sun with a cocktail in hand. 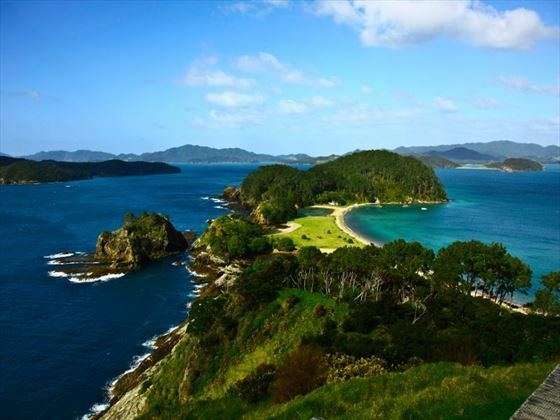 The Bay of Islands is a truly spectacular sight, and you’ll get to spend the day lapping up the wonderful feeling of warm, white sand beneath your toes and the sun on your skin. The beaches here are considered to be some of the world’s best. 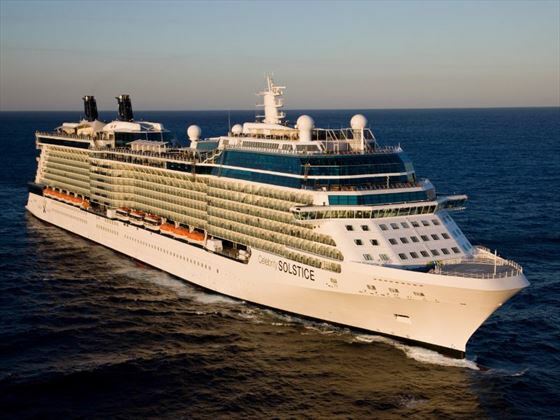 Today will mark the end of your time cruising onboard the Celebrity Solstice. 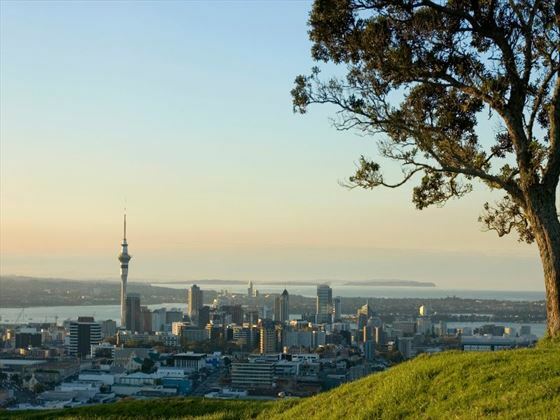 Disembark the ship, meet your Coach Captain, and venture onto a fascinating city tour which includes the Auckland Domain, Parnell Rose Garden, Bastion Point and the America’s Cup Village. The afternoon will be spent at the Sky Tower. Begin the day with a journey to Matakohe, where you’ll enjoy an informative talk at the Kauri Museum. After a light lunch, you’ll then travel north through Dargaville to the unique Footprints Waipou encounter, which is home to some of the largest kauri trees in the world. These magnificent trees play a vital role in the eco-system of Waipoua Forest. 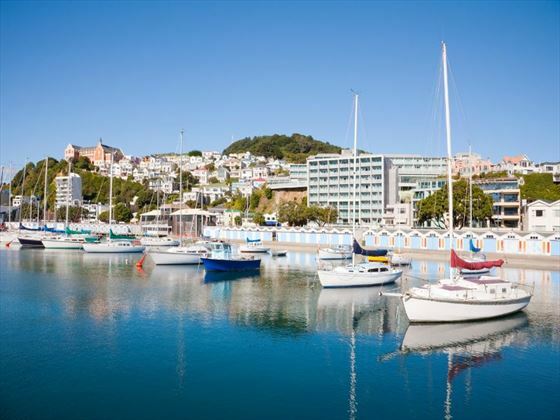 Then venture to Paihia, nestled in the heart of the Bay of Islands. A guided tour of the Waitangi Treaty Grounds is your first port of call today – the location of the signing of the treaty between the Maori tribes and the British. From then on, the day is free for you to do whatever you like. There’s plenty of options to choose from, including a cruise to the Hole in the Rock, or a scenic flight. Today you will depart from the Bay of Islands and travel back to Auckland, passing Whangarei, Wellsford and Warkworth along the way. The whole afternoon and evening is free for you to enjoy at your own pace. Get your day to a delicious start with a tasting tour through New Zealand’s only tea plantation, the Zealong Tea Estate. Afterwards, travel on to Hobbiton for a spot of lunch before an incredible visit to the Hobbiton Movie Set. After transporting yourself to Middle Earth, you’ll then continue on to Rotorua. Breakfast at Stratosfare Restaurant is a unique affair today – you’ll need to take a gondola ride to get there. Once your food has done down, you’ll have the opportunity to add a touch of adrenaline with a luge ride. 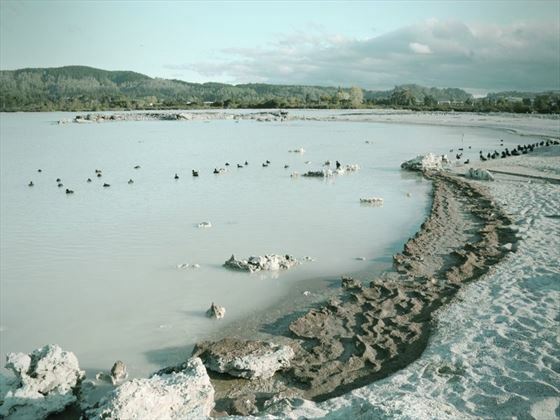 Afterwards, you will travel on to Agrodome to witness a bit of fun farming entertainment, before heading to Te Puia to see the boiling mud pools and geysers Rotorua is so well-known for. The afternoon will be free, and then you’ll regroup in a Maori village for a cultural performance and traditional hangi feast. 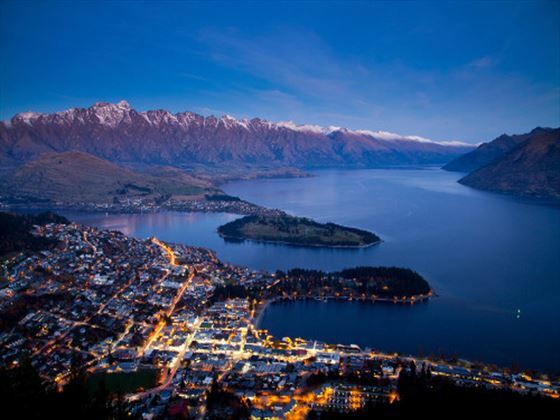 Begin your day with a flight from Auckland Airport to Queenstown, where you’ll meet your South Island Coach Captain and enjoy a tour around Arrowtown before relaxing at your hotel. Enjoy a whole free day today. There’s plenty of time to take part in some exciting activities including biking and hiking. We’d recommend spending the evening in style, with either a dinner at the soaring Skyline Restaurant, or a trip on board the vintage TSS Earnslaw steamship, which will take you to Walter Peak Station for a gourmet BBQ. 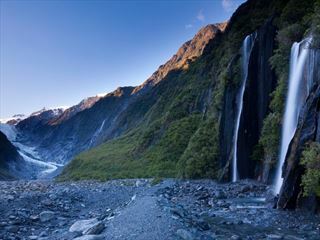 In the morning, you will depart Queenstown and embark on a picturesque journey via the Haast Pass to the West Coast. Soon you’ll arrive at Fox Glacier, enjoying a scenic flight over the glaciers (optional and weather permitting). Day 24 will begin with a trip to Greenstone Factory in Hokitika. 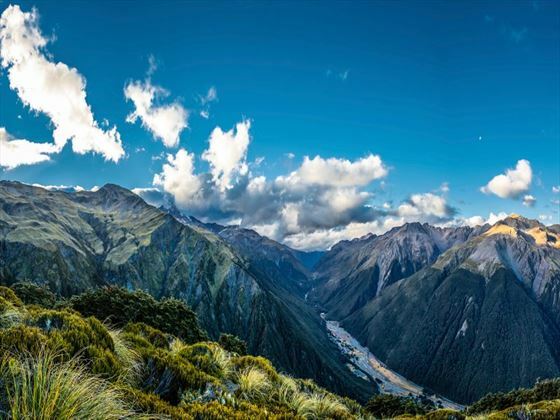 From there, you will continue on to Arthur’s Pass and hop on board the TranzAlpine, one of the world’s greatest rail journeys. The TranzAlpine train will take you all the way to Christchurch, passing river valleys, viaducts and gorges along the way. In the evening, you will join your travel companions one last time at a farewell dinner. Your tour ends here. Transfer to the airport for your onward flight.